October 21st in Premium Plug-ins by Wordpress Jedi . A lot of new bloggers have asked me in the past about how they can automate some parts of blogging so they could get more done each and everyday. Some even automate the whole process. I am personally not a big fan of automating my blogging process, but there is a right way and a wrong way to automate your blogs. For instance, you can create a post out of your tweets (RSS) and publish it on your blog. You can always create a post by hand, but since we are talking your tweets, automating the process would save you time. Whatever the case, WordPress AutoPost Plugin is the only plugin you need to get it done. 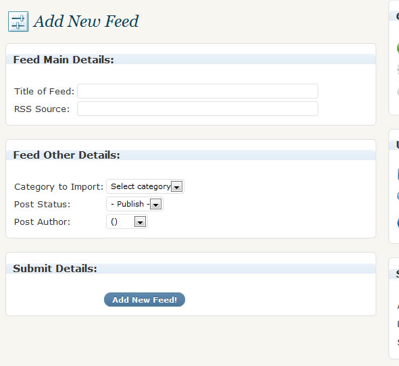 WordPress AutoPost plugin allows you to import RSS feeds to your blog and convert them to blog posts. It’s a very flexible plugin that allows you to set up an author per feed. You also have control over the content and meta data. And you can schedule your posts in advance and do them one at a time. 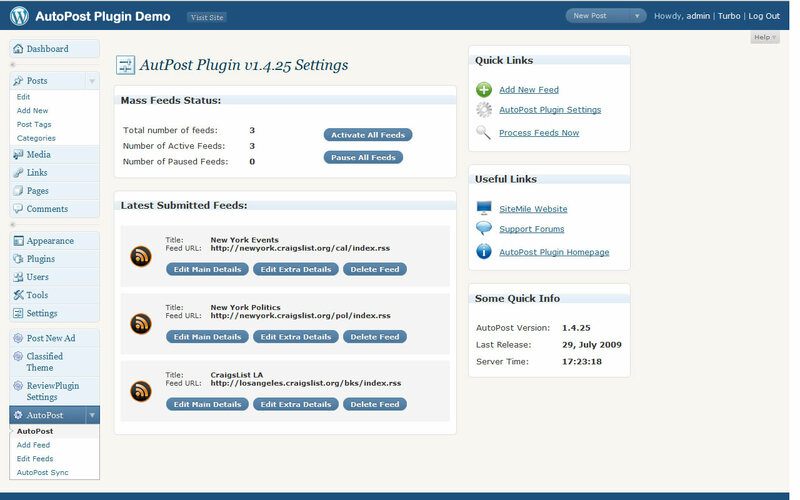 What I like about this plugin is that it gives you total control on what goes on your blog. That could be a bad thing too as the plugin can be abused by spammers who want to make money from other people’s work. 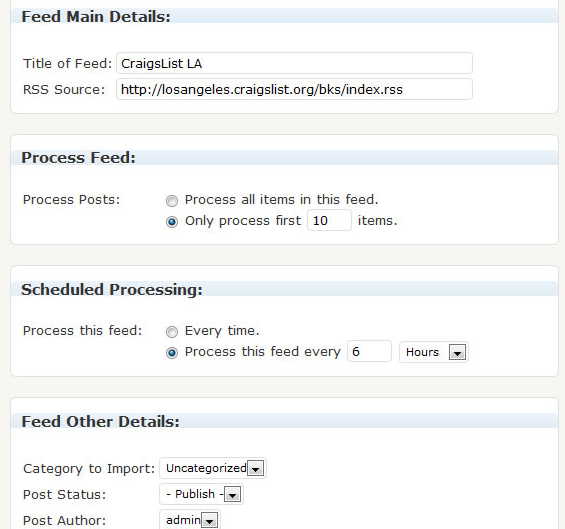 You also get to choose a category per imported feed and even select an status for each post. So if you don’t want surprises on your blog, I strongly recommend you change the default status to draft or private. Turning on and off the feeds is not that difficult either. All in all, if you are into automated blogging and want to simplify things and save time in the process, WordPress Autopost Plugin comes in handy. This is actually something you can use for press communiqué. Create a niche site and automatically publish all press communiqué within this specific niche. Previous post: WordPress 2.8.5 Is Out!